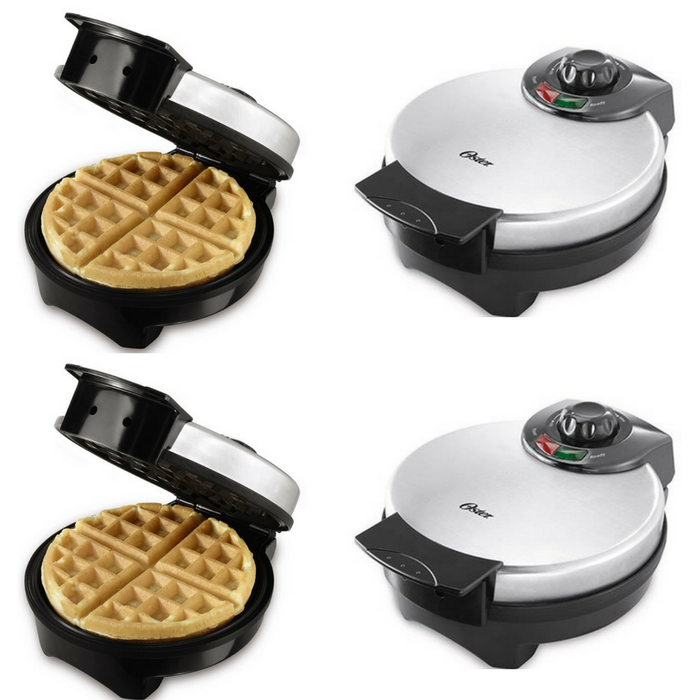 Oster Stainless Steel Belgian Waffle Maker Just $14.98! Down From $24! You are here: Home / Great Deals / Amazon Deals / Oster Stainless Steel Belgian Waffle Maker Just $14.98! Down From $24! Amazon has this Oster Stainless Steel Belgian Waffle Maker on sale for just $14.98 down from $23.99 PLUS FREE shipping with Amazon Prime or for orders over $25! There are waffles, and then there are Belgian waffles. Indulge in the experience of fresh, home-made Belgian waffles with deep pockets full of tasty toppings and syrup. Large 8″ plate makes one perfectly-cooked waffle. With the Oster brand, you can cook with passion and serve with pleasure.